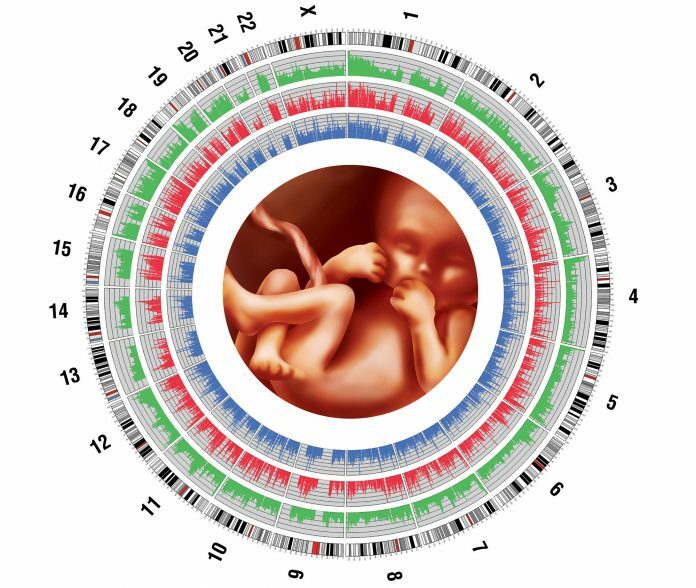 Prenatal genetic testing has advanced enormously over the last few decades. Amniocentesis and chorionic villus sampling (CVS) have been performed to diagnose fetal abnormalities for many years, but these tests are invasive and not without problems. The risk for miscarriage is low (approximately 1 in 1,000 for amniocentesis and 1 in 500 for CVS), but it has prompted a long quest to find the perfect noninvasive prenatal test. With a greater accuracy than standard noninvasive screening (maternal serum testing for protein markers and ultrasound scanning) for predicting risk of more common genetic disorders such as Down (trisomy 21), Patau (trisomy 13), and Edwards (trisomy 18) syndromes, cfDNA testing has become a popular option for patients and providers. While these tests have improved the accuracy of early screening for more common aneuploidies, they currently only have limited accuracy for detecting rarer conditions such as DiGeorge syndrome (22q11 deletion). They also still require an invasive diagnostic test to definitively confirm the result, as false positives do occur. The presence of fetal cells in maternal blood was first detected in 1969. Since then, extracting these cells for analysis has become the “Holy Grail” of prenatal testing with many researchers and companies trying and failing to successfully extract and analyze these cells. In 2016, a number of papers were published demonstrating moderate success in this area, and what has in the past seemed an unachievable goal has moved slightly closer to reality.